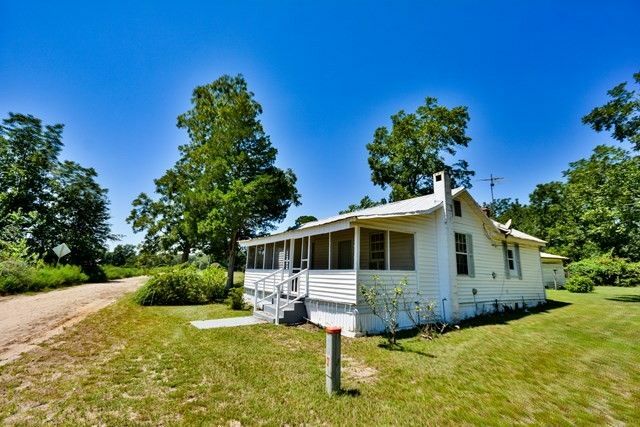 Simple, country living close to the Ohoopee River. Perfect for a home away from home or rental/investment property! The main house features 3 bedrooms and 1 newly renovated bathroom with all new fixtures. The interior and exterior trim has a fresh new coat of paint and is ready for the new owner's enjoyment. The shed in back provides extra space for storage. There is also an old voting precinct on the property. This building has two half baths and could be used as a workshop or converted to an efficiency apartment for extra rental income. The 1.2 acre lot allows extra space for a future home site. Call Sara Brown to view the property. 912-293-2225.